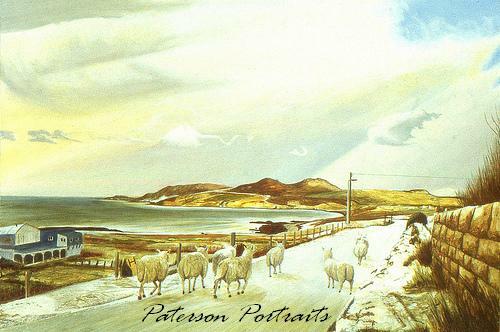 Achiltibuie on the west coast of Scotland offers many scenic views, This oil painting captures the dawn light of the sun as it changes the sky from orange to blue as the shepherd drives his flock up the quiet road. This painting is the pair to the Sunset. The Gaelic spelling is used in the title.